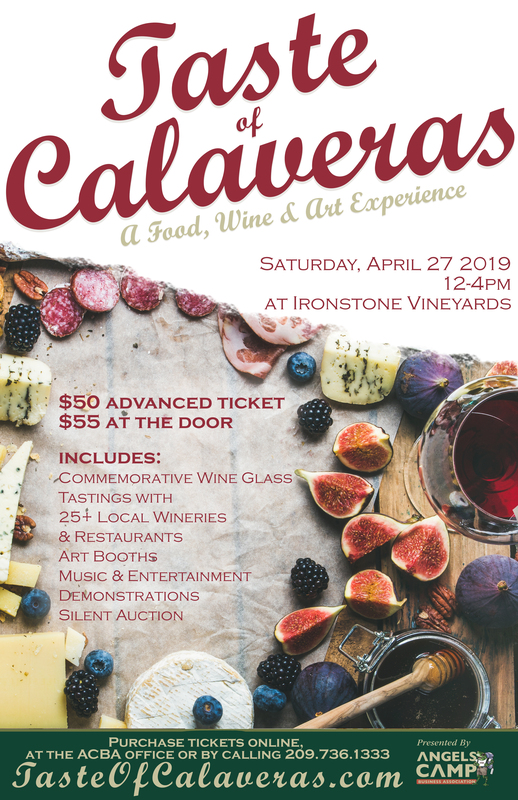 This annual event is a celebration of wine, food, art and culture of Calaveras County showcasing only Calaveras businesses and products. Featuring vintages from Calaveras wineries and foods from Calaveras restaurateurs. Calaveras artists will be attending with a special art show along with a silent auction featuring Calaveras Experiences and Calaveras products. During the day, guests will be entertained with live music, demonstrations and art.